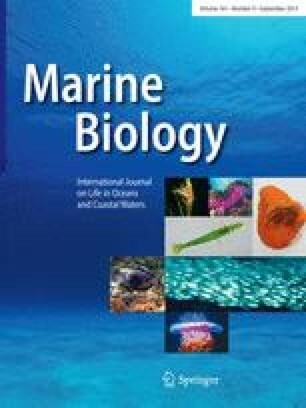 Responses by marine species to ocean acidification (OA) have recently been shown to be modulated by external factors including temperature, food supply and salinity. However the role of a fundamental biological parameter relevant to all organisms, that of body size, in governing responses to multiple stressors has been almost entirely overlooked. Recent consensus suggests allometric scaling of metabolism with body size differs between species, the commonly cited ‘universal’ mass scaling exponent (b) of ¾ representing an average of exponents that naturally vary. One model, the Metabolic-Level Boundaries hypothesis, provides a testable prediction: that b will decrease within species under increasing temperature. However, no previous studies have examined how metabolic scaling may be directly affected by OA. We acclimated a wide body-mass range of three common NE Atlantic echinoderms (the sea star Asterias rubens, the brittlestars Ophiothrix fragilis and Amphiura filiformis) to two levels of pCO2 and three temperatures, and metabolic rates were determined using closed-chamber respirometry. The results show that contrary to some models these echinoderm species possess a notable degree of stability in metabolic scaling under different abiotic conditions; the mass scaling exponent (b) varied in value between species, but not within species under different conditions. Additionally, we found no effect of OA on metabolic rates in any species. These data suggest responses to abiotic stressors are not modulated by body size in these species, as reflected in the stability of the metabolic scaling relationship. Such equivalence in response across ontogenetic size ranges has important implications for the stability of ecological food webs. This research was supported by the European Community—Research Infrastructure Action under the FP7 “Capacities” Programme ASSEMBLE  for fieldwork and laboratory work at the Sven Lovén Centre for Marine Sciences, Kristineberg, and by the Department of Employment and Learning, N. Ireland, and Queen’s University Belfast Marine Laboratory. SD is funded by the Linnaeus Centre for Marine Evolutionary Biology at the University of Gothenburg and supported by a Linnaeus grant from the Swedish Research Councils VR and Formas. Thanks to Isabel Casties for assistance with water chemistry analysis. Three anonymous reviewers provided thoughtful and helpful suggestions that substantially improved an earlier version of this manuscript.